Game designer and developer, Robert J. Schwalb (schwalbentertainment.com) hit the ground running in the roleplaying games industry over 10 years ago and shows no signs of slowing down any time soon. With over 200 game books, magazine articles, digital articles, and a novel to his name, his design can be found in three editions of Dungeons & Dragons, Dark Heresy, Warhammer Fantasy Roleplay, A Song of Ice and Fire RPG, Star Wars Saga Edition RPG, Witch Hunter: The Invisible World, Numenera, The Strange, and numerous RPG products. Robert spent much of his early career as a freelance writer and game designer, helping to produce Fantasy Flight's Grimm, Green Ronin Publishing's Book of Fiends and The Black Company Campaign Setting, along with several other popular game books. Robert soon after became a designer and developer at Green Ronin Publishing, where he worked d20 products, Warhammer Fantasy Roleplay, and designed A Song of Ice and Fire Roleplaying. 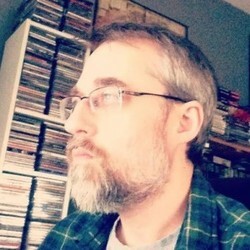 In addition to his work at Green Ronin, Robert also produced game design and story work for Paradigm Concepts, for Witch Hunter: The Invisible World, and later began work for Wizards of the Coast, contributing to several 3rd Edition D&D sourcebooks such as Tome of Magic, Fiendish Codex 2, and Player's Handbook 2, as well as sourcebooks for Star Wars Saga Edition. Robert worked as contractor for Wizards of the Coast starting in 2008 and has spent his time there working on 4th Edition D&D products such as the Dark Sun Campaign Setting, D&D Gamma World: Famine in Far-Go, and the Book of Vile Darkness. During his last three years with Wizards, Robert was a member of the 5th Edition Dungeons & Dragons design team and helped write the Player's Handbook, Monster Manual, and the Dungeon Master's Guide. In 2014, Robert launched his own imprint, Schwalb Entertainment, to produce roleplaying games, card games, and more. His first product, to be released Fall 2015, is the highly anticipated horror fantasy roleplaying game, Shadow of the Demon Lord.